Bangladesh revolution was unique in many ways. The number of people killed in the time-span of nine month, 10 million refugees sheltered in the neighbouring India, a guerrilla war fought against an army equipped with most modern weapons, is all unprecedented in human history. What is not unique is the support given by India to our valiant freedom fighters. Mao Tse Tung’s success was largely due to the World War ΙΙ and the opportunities it had provided. Marshall Tito and Hoxa’s liberation of Yugoslavia and Albania was facilitated by the German defeat at the moral support of international community helped Indonesia to gain independence. Dien Bien Phu was possible because of material support from China. The Vietnamese victory was due to the uninterrupted flow of weapons and military hardware from the USSR and China into North Vietnam. In contrast to the military experiences of those countries what was unique in the Bangladesh theatre was the sacrifice of the lives of 13,000 Indian troops in the battle for Bangladesh. The green fields of Bengal and the clear waters of our rivers turned crimson with the sacred blood of our own freedom fighters and that of the friendly forces. In a short period following our liberation, we had 10 million refugees rehabilitated, a near-prostrate economy put on track, an administrative machinery mobilized, and recognition of most of the UN members-states obtained. We became member of the UN agencies, secured Commonwealth membership, membership of the NAM, OIC and the United Nations on September 17,1974. This was possible because of the spontaneous support we received from our friendly countries, and particularly from neighbouring India. We even made a phenomenal success in GDP growth, over 7 percent in the first three-and-a-half years, all the other constraints notwithstanding. Unfortunately things changed following the tragic event of August 15, 1975. 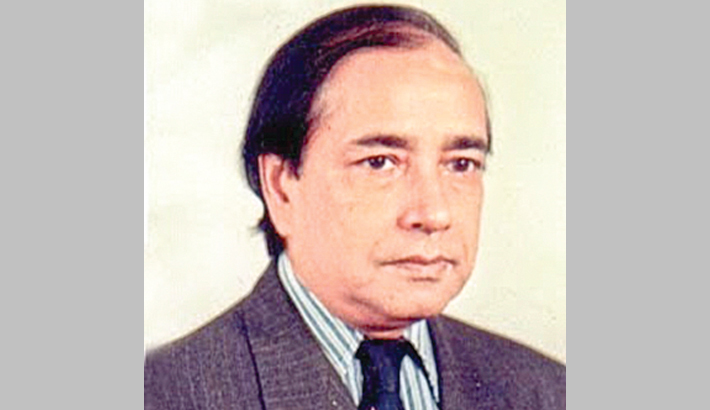 Forty seven years on it is apparent that what happened on that fateful night was not an isolated effort or an action of a group of lunatics; August 15 was the result of a conspiracy hatched by the defeated forces of 1971 actively supported by an international network of anti-Bangladesh elements. In these past years while fundamentalist politics was encouraged in Bangladesh and anti-India bogey was ruthlessly used as a political handle to suppress the forces of Bengali nationalism the spirit of the War of Liberation was condemned and a massive effort was made through cool calculation to distort our history. In the process of Bowdlerisation of history one of the first victims was Indo-Bangladesh relationship. Everything was done to keep Indophobia alive not with a view to promoting our national interest but only as a cheap political slogan to mislead the people of the country. As a direct consequence of the deterioration of the bilateral relationship, the issues of Ganges water sharing was perhaps the first victim. Late president Ziaur Rahman raised it in the UNGA in 1976. Then Egyptian PR in New York Ismet Meguid later foreign minister and later Arab league Secretary-general pleaded with both Bangladesh and India to resolve this issue bilaterally. Begum zia as Bangladesh prime minister made a broadside against India on the floor of the General Assembly in 1993. She however made one big blunder; the issue was not even inscribed in the agenda of the General assembly to allow the issue to be debated. The result was predictable. It withered on the vine as a political stunt. What was most distressful was that throughout five-years rule of Begum Zia no serious effort was made towards finding a solution to the problem. Inder Kumar Gujral’s visit to Dhaka has to be seen in the context of the history of our relationship. As Indian foreign minister he was familiar with the variables including the constants in our relationship. I instantly remember Gujral’s important remarks at a seminar on Farakka in 1994. This seminar threw up a number of important conclusions, two of them, worth quoting. One participant termed South Asians, ‘as the most suicidal maniacs today on the planet’ another expert said, “North East of South Asia is the world’s poorest swathe of poverty. We must collaborate to get out of the situation.” I K Gujral agreed with the conclusion. Soft-spoken and unassuming, Gujral’s contribution was most penetrating and meaningful. It was ex-cathedra and not ex-parte. He was critical of his own governments for not reaching out to Bangladesh. A student of history, Gujralwas not unaware that Bangladesh, a member of the SAARC like India is inheriting the legacy of a glorious civilization of Aryan-Dravidian synthesis. Chandra Gupta Maurya whose Empire stretched from the borders of Bengal, received Envoys from Foreign Kings and Potentates. As legend has it, Alexander took away with him numerous Indian scholars, some of Bengali origin at the behest of Aristotle, who wanted to learn more about the Indian solution to the problems of metaphysics. Sher Shah opened up through the Grand Trunk Road, the wide swathe from Kabul to Chittagong. In spite of the internecine quarrels between the Hindus and the Mughals, many Rajput ladies married into the Mughal royalty. The great Akbar introduced Din-e-Elahi, and Aurangzed the epitome of piety and faith, married a Hindu lady. Tagore gave both India and Bangladesh their national anthem. Nazrul Islam rationalized both peoples, as Shamsur Rahman, SatyajitRay and Taslima Nasrin did. Earlier, fusion of Hindu-Muslim cultures resulted in Ramananda and Nanak and Moinuddin Chisty. Paul Valery correctly thought that “the idea of Europe is Greece plus Rome plus Christianity.” Bahasamalay and the history, that goes with it brought the fractious ASEAN countries together, while Franco-German cooperation forms the bedrock of EU. Malaysia and Indonesian understanding pushed the heady days of Confrontasi to near oblivion. Both Europe and Asia have been victims of foreign alien aggression: Huns in the 5th Saracens in the 8th, Magyar in the 9th, Mongols and Turks in the 14th were stronger than West Europe. Attracted to the oriental lure were the Aryans, the Huns, Mongols, Afghans the Portuguese, the French and The British. What we need today is a vision-ability to look to the future. Prime Ministers Sheikh Hasina and Deve Gowda would be remembered by posterity; they could direct their two Foreign Ministers both tested leaders in their respective countries, to show courage, find sagacity in finding a solution of Ganges water sharing and take us to the threshold of 21st century. Other issues like transit etc should be totally delinked and discussed only on their economic merits. India has reportedly opened the door ajar to Nepal. She could take another big step forward by opening completely the window of opportunity, the window of magic casement, creating the confidence that is so much needed to bring justice to the hallowed memories of those who laid down their lives to help us attain our liberation.Time has now arrived. And we must act. Bangladesh and India are South Asian neighbours. India was the first country to recognise Bangladesh as a separate and independent state and established diplomatic relations with the country immediately after its independence in December 1971. The two nations were strong allies during the Bangladesh Liberation War in 1971. India intervened in December 1971 on behalf of East Pakistan and helped secure East Pakistan’s independence as sovereign independent Bangladesh. The relationship between India and Bangladesh is anchored in history, culture, language and shared values of secularism, democracy, and countless other commonalities between the two countries. It is based on sovereignty, equality, trust, understanding and win-win partnership that goes far beyond a strategic partnership. The historic land boundary agreement was signed on 6 June 2015 which opened a new era in the relations and further stopped all irritants in ties. India and Bangladesh are close strategic partners in counter-terrorism. They are also the largest trading partners in South Asia. The other point that will strengthen the relationship is the fact that both countries are keen to enhance connectivity not just between them, but also with other countries in South Asia. Both countries are also part of a number of groupings that seek to expand South Asia’s connectivity with Southeast Asia and China; these include the Mekong Ganga Cooperation Initiative, BIMSTEC, BBIN (Bangladesh, Bhutan, India and Nepal) and the BCIM (Bangladesh-China-India-Myanmar) economic corridor project. The first part gives an apercu for better understanding of the relations between two countries. The second part gives what I would call the Golden Period of bilateral relations. With Hon’ble Sheikh Hasina assuming the charge of Prime Minister of Bangladesh on January 6, 2009, the existing friendly relation between Bangladesh and India assumed a new dimension. a. During the visit of Bangladesh PM to India in January 2010, India had announced a US$1 billion Line of Credit (LOC) for Bangladesh covering projects in public transportation, roads, railways, bridges and inland waterways etc. Most of these projects have been completed and the remaining are at various stages of completion. b. India has extended 3 Lines of Credits to Bangladesh in the last 7 years amounting to US$ 8 billion. This makes Bangladesh the largest recipient of LOC funds from India till date. d. India had extended the second LOC of US$ 2 billion during the visit of Prime Minister Modi to Bangladesh in June 2015. This LOC covers 15 projects in areas of Roads, Railways, Power, Shipping, SEZs, Health & Medical Care and Technical Education. e. During the visit of Bangladesh PM to India in April 2017, India extended a third LOC of US$ 4.5 billion to Bangladesh. The new LOC will cover projects in areas of Port Construction, Railways, Roads, Airports, Power & Energy, Telecommunications, and Shipping etc. ‘How the unipolar moment or the Indian status quo power can be used to our advantage ‘Would greater cooperation between the political parties of India and Bangladesh work in promoting the national interest of both? Or could summitries be a better alternative? Russia and Austria almost went to war over the division of Poland. But when Metternich, the Austrian Chancellor, went to call on his Mistress, he found the carriage of Tsar Alexander drawn up outside the same door, and the two men had a very profitable discussion in the passage outside the lady’s bedroom and the war was avoided! (1814-15). In the 21st century our Acheson and Vishinkys don’t dare to indulge in such daring acts. Prime Minister Sheikh Hasina is a visionary. Bangabandhu gave us independence, Sheikh Hasina gave stability, prosperity and democratic confidence. Only she could negotiate the 30 yr. Ganges Water Treaty with friendly India of Dec 12, 1996. Only she could sign the historic CHT Peace Accord. As Masaryk of Czecho Slovakia brought nations into being and drew the lines for a new map of Europe, Sheikh Hasina is shaping ideas for a new South Asia, more stable South Asia. She firmly believes that democracy is the rule of the people, but there can be no government without obedience and discipline. Bangladesh Prime Minister Sheikh Hasina breaks new ground because she always takes the path less travelled by. She succeeds because of the support she garners from our friends with India in the forefront, the country that is destined to become the 2nd most powerful Economy in the next 25 years. The importance of Prime Minister Sheikh Hasina’s visit to India from April 7-10, 2017 has to be seen in light of the above. It is relevant to remember these facts on the eve of the Republic Day of India – January 26, 2018.